Why Mark Zuckerberg's paternity leave matters. This is part of the explanation Facebook founder and CEO Mark Zuckerberg gave when he announcing his plan to take two months paternity leave when his daughter arrives. It’s difficult to understate the significance of this. It’s massive and it matters. 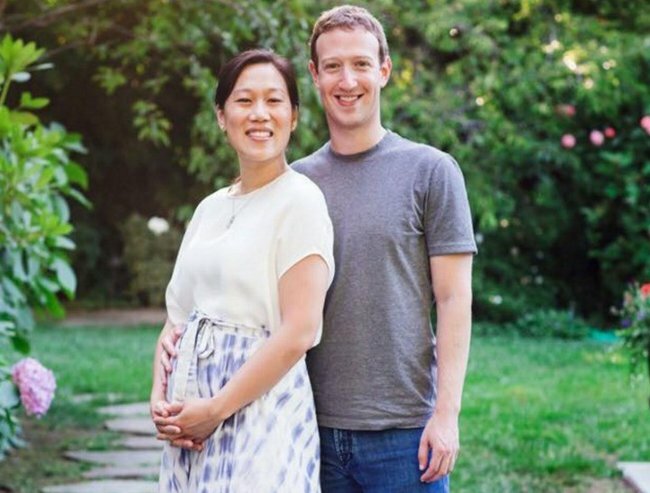 Not just for Zuckerberg, his wife Priscilla and their unborn daughter. And, not just the 11,500 Facebook employees around the world who are now entitled to four months paid paternity leave and have the implicit permission from their boss to take it. It’s significant for future parents everywhere. This a man who heads up a listed company worth billions of dollars. He is one of the richest and most visible male business leaders in the world. And he is publicly and proudly placing his stake in the ground as a CEO and a father, who is willing take time out for his family. He is not the first dad in the world to take parental leave. Two months is hardly a year. He is, obviously, in a position where financially he can take as much leave as he wants. But none of that diminishes the significance of his decision. For every word written by, for and about working mothers over the past few decades – and they number in the millions – there has been a gaping hole in the picture. Dads. Watch the Good Morning America team discuss the importance of Zuckerberg’s decision to take paternity leave. Post continues below. There aren’t a million thought-pieces on men struggling to juggle work and family because they’re not expected to “juggle” it in the way women are. For men it’s a given they can work and have a family without one impeding on the other. One of the more obvious reasons for this is because, typically, the arrival of a baby hasn’t changed the pattern of a father’s work. Becoming a father hasn’t impeded – in practical terms – on their career or working week. For mothers it’s a different story. Mothers re-arrange their working live to accommodate their family, which explains why 3 in 4 part-time workers in Australia are women. For some families this is a perfect arrangement, but for lots it isn’t. For lots of families, the possibilities for care and work would be exponentially expanded if caring was shared by mum and dad. The challenge for dads becoming more involved in baby-rearing and care-giving isn’t one dimensional but the stubbornly intact stigma around men taking time out for their families cannot be ignored. In too many workplaces, and social settings, a father stepping away from work to spend time with a baby isn’t warmly welcomed. It’s greeted with skepticism: a mark on his masculinity. A sign that he has no ambition. That generalisation is as ridiculous as the corresponding idea that women immediately relinquish their ambition and skills upon entering a maternity unit. The trouble is there aren’t too many men out there – who we see and hear from – who prove this wrong. Zuckerberg is one. Mark and Priscilla are expecting a baby girl. Image via Facebook. I could be wrong but my inkling is that he isn’t leaving work because he no longer has any interest in running Facebook. He isn’t leaving because he intends to spend his days at home forever more. He isn’t taking time out because his ambition has disappeared. It seems he is taking time out because in their family, caring for their daughter is going to be shared. And because, in his view, work and family need not be mutually exclusive. Starting this arrangement, in practical terms, from the very beginning bodes well. In 2000, Iceland, adopted a so-called “use it or lose it” paid parental leave policy that other Nordic countries had implemented the decade before. Before 2000, families in Iceland were supposed to “share” a six-month paid leave but in reality mothers took all of it. Three years later, the vast majority of mums had most of the caregiving responsibilities. Where fathers do not have permission to take leave from work, it sets up the mother as the primary carer. Once begun that arrangement is hard to budge. 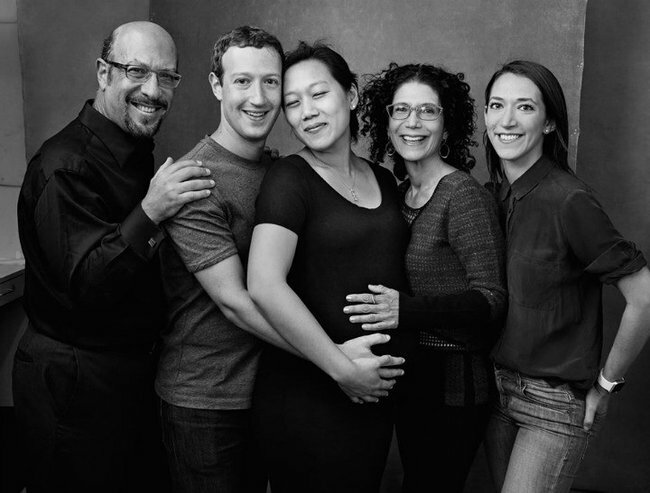 Mark and Priscilla with the Zuckerberg family. Image via Facebook. It is impossible to imagine a country like the United States or Australia implementing a parental-leave policy like Iceland’s. And it underscores the significance of Zuckerberg’s decision. We are unlikely to have changes around parenting led by policy-makers or politicians so the message a leader of Zuckerberg’s influence and standing sends to a new generation of future parents is powerful. For lots of executives – male and female – the prevailing sentiment is that men in important jobs don’t take time off. They don’t start later or leaver earlier or take a sick day to look after their child. They work and someone else takes care of the family. That sentiment is being challenged. So to all of the executives and employers who consider caring to be women’s work, I ask this. If the man who runs Facebook can take two months parental leave to look after a baby, why can’t you? Why can’t your male employees? Or your male boss?